The Big Brother Nigeria show this 2018 is quite different from what Nigerians are used to. This year is more entertaining and alive, though its arguable, but the main difference is the idea of pairing the housemates. Today, we are going to talk about how you can vote for your favorite housemates. Big Brother Naija is Nigeria’s most followed and most loved reality TV show and its back and airing again. This year promises to be even better with the drama seen already. 6 (Six) housemates evicted on the same day? That is really something we have not seen before. Though 4 was actually evicted and the other 2 was disqualified. This year’s show is hosted by Ebuka Obi-Uchendu and he is a very familiar face owing to the fact that he was the one who hosted the previous one in 2017. Known for his internet-breaking fashion and humor, he is indeed the right man for the job. How To Vote On Big Brother Nigeria, Big Brother Naija or BBNaija "Double Wahala". Voting via SMS attracts a 30 Naira fee. Also, note that there is no free SMS vote. There is also no limit to how many times you can vote. 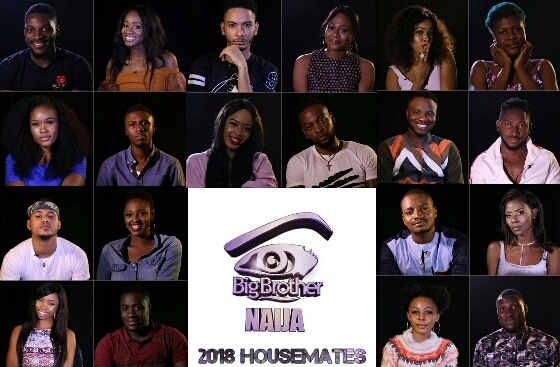 To vote, send your favourite housemate’s name as below..
To vote for free, you will need to download the WeChat app on your smartphone. Afterwards, add the ID africamagictv and you are good to go. You may vote up to 100 times for free. However, to avoid the stress of searching you may just scan the QR code from inside WeChat for access to the Official Account. Use the keyword “vote” for quick access to voting. Its also worthy to note that housemates have been paired. This means that the failure or success of a housemate automatically affects his/her partner. See details of the pairing below. Pick up your gadgets guys and get busy voting.